LAKE ELSINORE, Calif. - After 563 at-bats in 2018, 20-year-old MLB hopeful Hudson Potts can finally take a break. 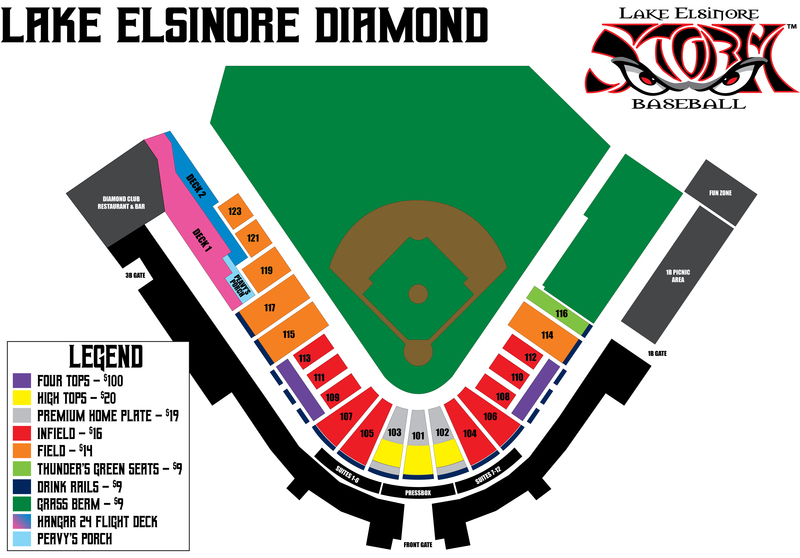 Dazzling the Lake Elsinore faithful with 35 doubles and 17 home runs on his way to team Co-MVP, the third baseman made the jump to Double-A for most of August before earning the privileged assignment to play some fall baseball with the Peoria Javelinas of the Arizona Fall League. "It's an honor to be sent out there and the Padres guys that were there with me are great guys," Potts said. "I'm glad the Padres sent us to get more experience and exposure and I'm happy I got to be out there." 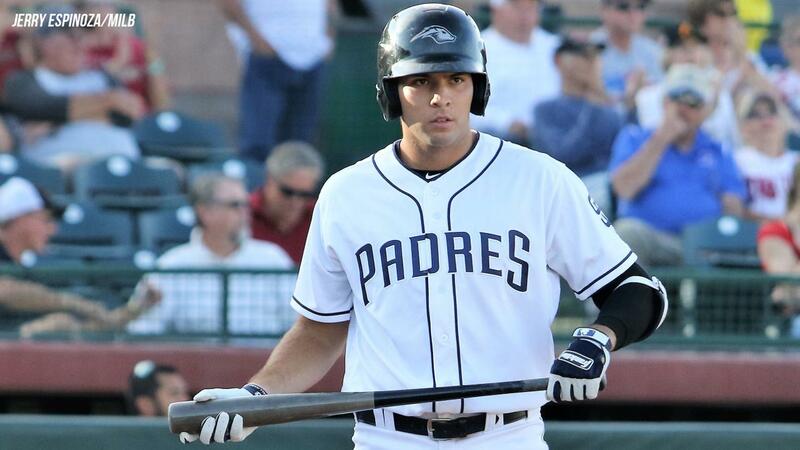 Potts was joined in Peoria by 2017 Storm MVP Austin Allen, who was recently added to the Padres 40-man roster and outfielder Buddy Reed, who enjoyed similar success to Potts in Lake Elsinore before receiving a promotion to Double-A San Antonio. Fellow Padres pitchers wearing the Javelinas uniform this fall were Miguel Diaz, who logged some innings with San Diego this season, along with Travis Radke, Hansel Rodriguez, Blake Rogers and Dauris Valdez, all who pitched for Lake Elsinore in parts of 2018. It wasn't an all-Padres team, however. Potts was joined by big league hopefuls in the Milwaukee, Atlanta, Tampa Bay and Seattle organizations. Names included Top 100 prospects Cristian Pache (No. 68, Atlanta) and AFL MVP Keston Hiura (No. 30, Milwaukee). "It was cool getting to play with all these good players from different teams," said Potts. "I just tried to take different things from other players I came across and saw how other teams and picked some things up that can help my game." One of those players Potts particularly enjoyed hanging around was Mariners first base prospect Evan White, a familiar foe who spent most of 2018 with the Modesto Nuts and is regarded as one of the best defensive first baseman in Minor League Baseball. "He's a great guy and one of the best defensive first baseman," claimed Potts, "so it was great to hang out with him and talk about what we experienced in the California League." This year's Arizona Fall League featured baseball's most highly-touted prospect in Vladimir Guerrero Jr. as well as baseball's top pitching prospect Forrest Whitley. "Everyone's good out there so you always have to have your A game and be ready to play every day," Potts said. "There were a lot of great pitchers. Forrest Whitley is one of the top pitchers in Minor League Baseball. So it was fun to face him. A lot of guys we faced we had seen in the California League." The Javelinas finished the regular season with a league-best 21-9 record before rallying from 2-0 down in the championship game to tie the game in the bottom of the ninth before a walk-off home run from Braves prospect Braxton Davidson clinched the title for Peoria for the second straight season. Now, after nearly nine months of nonstop baseball, Potts gets to return home to Texas. This offseason, however, he'll have a little more swagger in his step after a very positive 2018 campaign. "I'll take a little time off baseball and hang out and continue to work out, but relax; nothing too crazy" said Potts. Then in just a few short months, Potts will return to the San Diego Padres Spring Training complex in Arizona to gear up for another full season of baseball as he continues to make positive strides towards San Diego. "My goals every year are to stay healthy and just play my game," Potts said. "I can't control where I play so I just play to have fun and get a little better every day."